New South Main gallery celebrates career of local photographer. 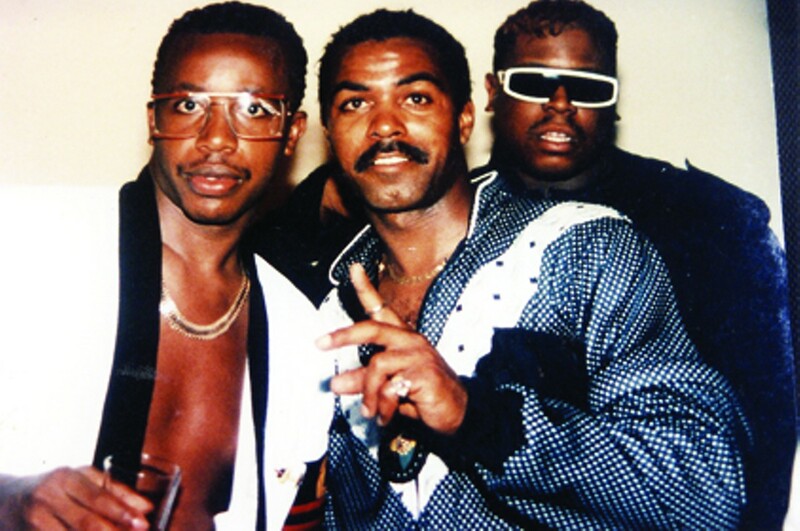 Photographer Jerome Ewing (center) with MC Hammer (left) circa 1990s. Name a soul or R&B artist from the past 30-plus years, and photographer Jerome Ewing probably has a photo of them in his collection. Ewing recently opened a new photo gallery on South Main, appropriately named the Ewing Entertainment Museum, to showcase his numerous celebrity photographs. The venue also features a photography studio and movie rental business. A native of Chicago, Ewing moved to Memphis in 1977 to play baseball at LeMoyne-Owen College. It was there he decided to enroll in a photography class. "I was on my way to school, and I heard on the radio that Prince was in concert at the Coliseum. Something just snapped in me," Ewing said. "I turned my car around and drove to the Coliseum. I took my camera and walked in with the people setting up the stage." After taking photos of Prince backstage, Ewing met concert promoter Odell Tidwell and convinced him to supply backstage passes to local concerts. During that time, Ewing shot the likes of the Commodores, the Bar-Kays, and Curtis Blow. In 1985, Ewing moved to Atlanta, where he was a FedEx delivery driver by day and a freelance photographer at night. Ewing recalled reluctantly taking an overtime shift that led to a major career change. "One day I decided to pick up a shift, and I noticed one of the packages I had to deliver was to Motown [Records' Atlanta office]," Ewing said. "I delivered that package last and told the lady at the front desk I took pictures of performers in Memphis. She said she wanted to see them, so I went home and got my pictures. She offered me a job taking photos of Smokey Robinson the following week." At Motown, Ewing's career took off. He took photos of superstars like Michael Jackson, Stevie Wonder, and Bobby Brown. Although Ewing was taking photos of some of the biggest musical acts in the country, he seldom got to choose which photos were published or even keep his photos. Ewing said it was common practice for magazines like Ebony and Jet to make their photographers sign over the rights to photos before they were developed, often giving no credit to the photographer. "A lot of the time I had no say in what was being published, so I decided to start sneaking in a personal second camera. A lot of my photos for the museum come from there," Ewing said. With over 2,000 photos in his portfolio, Ewing said it's been a long process deciding which photographs to feature in his gallery, because each one tells a different story. "I need to tell this story because nobody knows it like me. There are thousands of pictures with thousands of stories to tell," Ewing said. The Ewing Entertainment Museum, 304 S. Main, is open daily from 10 a.m. to 5 p.m. Patrons can peruse Ewing's work or rent classic movies on VHS and DVD. The museum space is also available to book for special events, such as weddings or receptions.